A cat café in Vancouver, Canada welcomed an unexpected celebrity guest when singer Adele walked in the door to spend some time with kitties. And who could blame her? Cats are a wonderful way to fight the stress of putting on shows for millions of people around the world. And one cat at Catfé in particular stole the heart of the superstar. Larry caught Adele’s eye and shared some snuggles with her. Larry certainly didn’t realize, or care, that the human he was playing with was a famous singer, but he did love the attention. And the birthday party of 12-year-old girls also at the Catfé got treated to both a day of cute kitties and a surprise appearance by one of their favorite stars. Larry’s brush with stardom made him a local celebrity for a little while, but Adele wasn’t the only one Larry won over. The celebrity cat was adopted by a loving family and went to his forever home shortly after. The other kitties at the Catfé seemed rather unimpressed with Larry’s fame, but they’d be more than happy to spend a day with any other celebrities that want to drop by and show some love. Are you happy to see celebrities giving kitties some love? 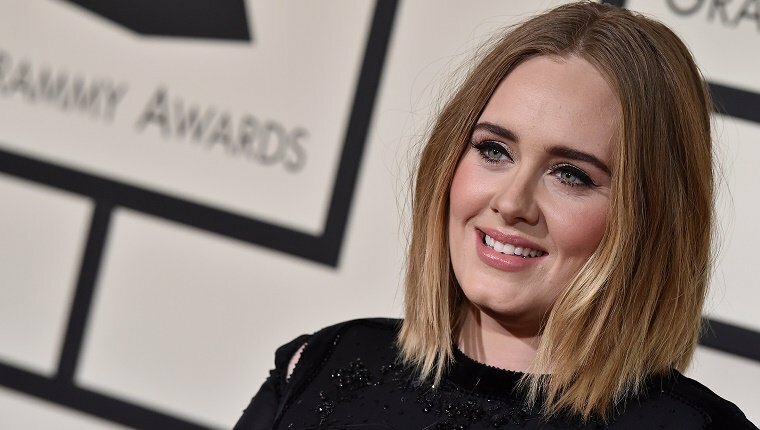 Would you be excited to see Adele at a cat café? Let us know in the comments below!